Hung on dove grey leather, this necklace measures approximately 1 meter to hang below the bust line. The tiny labradorite rondelles are fully faceted for added sparkle. 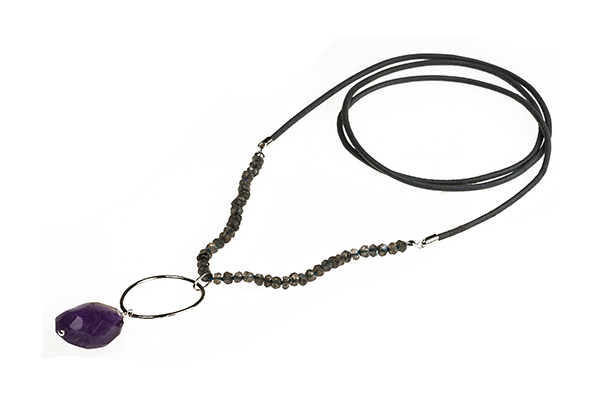 The open egg shape is made of sterling silver on which is wired a beautiful faceted amethyst bead, measuring 25mm x 18mm.